Boden’s chances for a promotion are met with potential complications, leading him to take matters into his own hands. 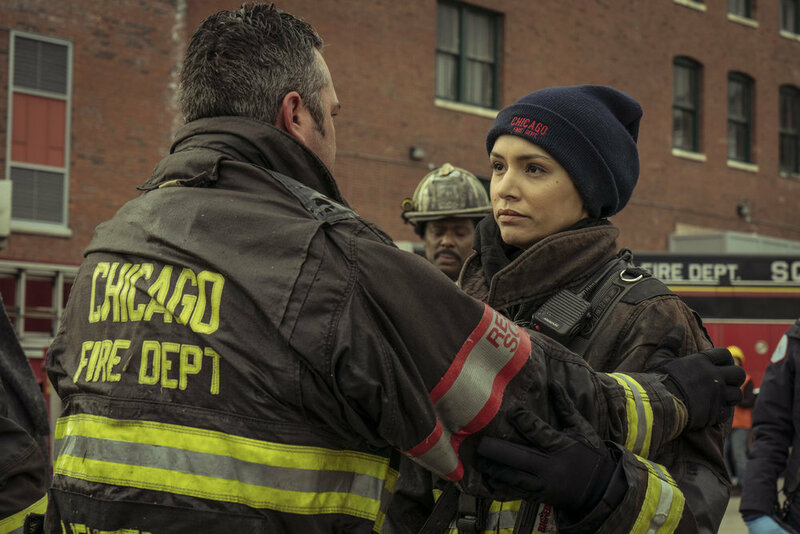 Dawson and Casey don’t see eye to eye on an important decision, while Kidd finds herself struggling to find time with Severide. Brett and Dawson respond to a tough call that quickly turns dangerous. Air Date: Thursday, May 10 (10:00PM – 11:00PM) on NBC. Boden takes a big step in the pursuit of a major career decision. Kidd becomes increasingly distrustful of Renee’s (guest star Sarah Shahi) motives with Severide. Herrmann has trouble bouncing back after a tragedy. Air Date: Thursday, May 10 (09:00PM – 10:00PM) on NBC. Lt. Severide is shocked when Rene Royce (guest star Sarah Shahi) resurfaces at the firehouse. Casey comes up with a plan to help Chief Boden in his latest pursuit. Kidd regrets a decision she made regarding Severide. Herrmann doesn’t see eye-to-eye with Lt. Colannino (guest star Andy John Kalkounos) over coaching their son’s basketball team. Air Date: Thursday, May 3 (10:00PM – 11:00PM) on NBC. After saving a girl from a car accident, Chief Boden and Lt. Severide are taken aback when they receive a surprise package. Brett struggles to keep quiet about Cruz reacquainting with his now-married high school sweetheart and Otis tackles his next challenge. 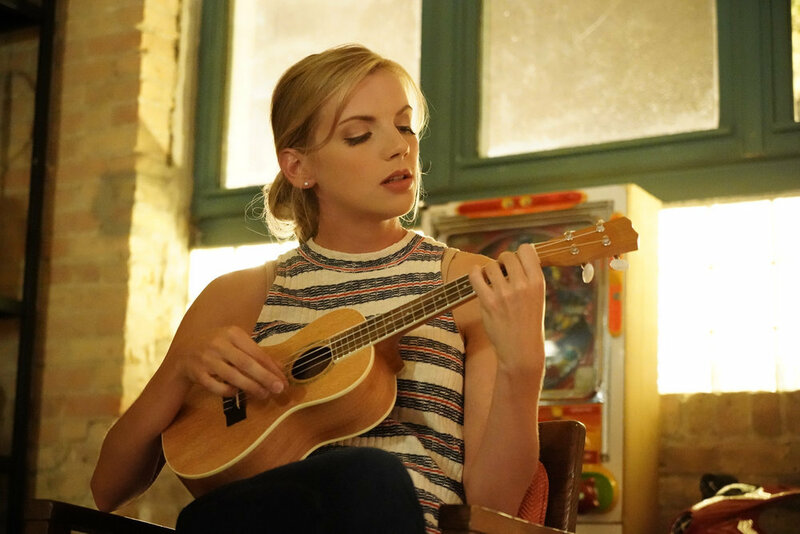 A crisis brings Bria (guest star Quinn Cooke) back into Dawson’s life. Air Date: Thursday, April 26 (10:00PM – 11:00PM) on NBC. After responding to a residential fire at a property belonging to a Mexican drug cartel, Casey is skeptical of Cordova (guest star Damon Dayoub) after a hefty amount of money was found missing from the crime scene. Elsewhere, Kidd makes a big decision. Air Date: Thursday, April 19 (10:00PM – 11:00PM) on NBC. When the FBI takes over Firehouse 51 for an undercover mission, Casey and Severide volunteer to assist with the investigation. 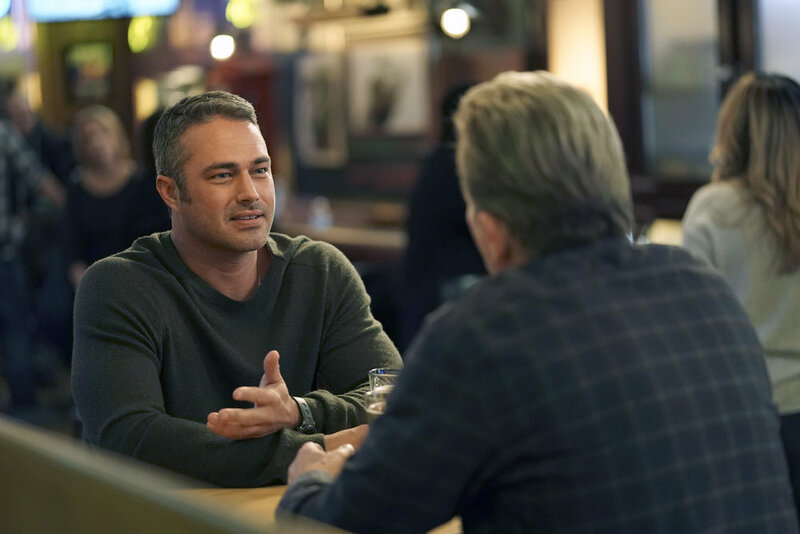 Kidd attempts to help Severide come to terms with recent developments he’s been managing. Air Date: Thursday, April 12 (10:00PM – 11:00PM) on NBC. Boden has a lapse in judgment in the aftermath of rescuing a young boy. Kidd struggles to win the approval of Severide’s mom (guest star Kim Delaney) after a surprise visit and Otis takes on new responsibilities at the firehouse. Air Date: Thursday, April 05 (10:00PM – 11:00PM) on NBC. Herrmann (David Eigenberg), along with members of house 51, struggle to come to terms with an injury to one of their own, and then must deal with the new temporary replacement (guest star Damon Dayoub). Boden (Eamonn Walker) ponders some interesting news while Kidd (Miranda Rae Mayo) has a hard time keeping a secret. Brian Tee, Melissa Ponzio and Gary Cole guest star. Air Date: Thursday, March 29 (10:00PM – 11:00PM) on NBC. In response to a call involving a residential fire, Otis (Yuri Sardarov) and Kidd’s (Miranda Rae Mayo) lives are suddenly put in jeopardy when gunfire goes off inside the house. Dawson (Monica Raymund) comforts Brett (Kara Killmer) during an especially trying time. Meanwhile, Casey (Jesse Spencer) begins to notice that romance might be going on within the firehouse. Brian Tee, Marlyne Barrett, Jon Seda and Gary Cole guest star. Air Date: Thursday, March 22 (10:00PM – 11:00PM) on NBC. 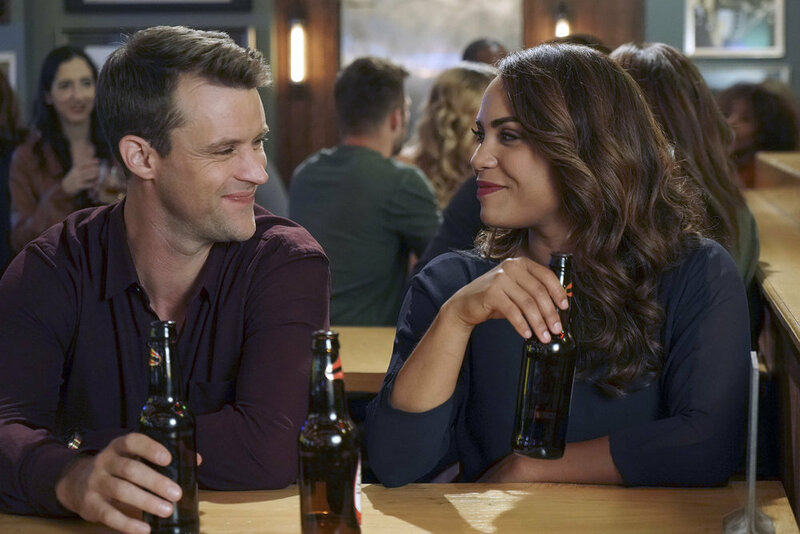 After responding to a car accident, Casey (Jesse Spencer) and Dawson (Monica Raymund) become skeptical when a domineering husband continues to answer for his injured wife. Cruz (Joe Minoso) becomes frustrated with Herrmann (David Eigenberg) and Mouch (Christian Stolte) when he discovers they have contacted people regarding his “Slamigan” invention without his knowledge. Kidd (Miranda Rae Mayo) uncovers something meaningful and important to Severide (Taylor Kinney) while Brett (Kara Killmer) discovers some potentially unsettling news. Nick Gehlfuss, Yaya DaCosta, Jon Seda, Marina Squerciati and Gary Cole guest star. Air Date: Thursday, March 22 (09:00PM – 10:00PM) on NBC. While working to track down a bombing suspect, Voight (guest star Jason Beghe) and Antonio (guest star Jon Seda) meet with Chief Boden (Eamonn Walker), who unwillingly agrees to let Dawson (Monica Raymund) and Brett (Kara Killmer) go undercover. As the investigation continues, Boden, Casey (Jesse Spencer) and Severide (Taylor Kinney) lend their skilled expertise in the investigation. Elsewhere, Kidd (Miranda Rae Mayo) and Zach’s (guest star Daniel Di Tomasso) relationship hits a bump and Cruz (Joe Minoso) has a hard time expressing his true feelings for Brett. Meanwhile, Herrmann (David Eigenberg) and Connie (guest star DuShon Monique Brown) are forced to come up with an alternative solution when two birthday parties are booked on the same day at the firehouse. Yuri Sardarov and Christian Stolte also star. Amy Morton, Patrick John Flueger, Jesse Lee Soffer, Traci Spiridakos, Marina Squerciati and LaRoyce Hawkins also guest star. Air Date: Thursday, March 8 (10-11 p.m. ET) on NBC. 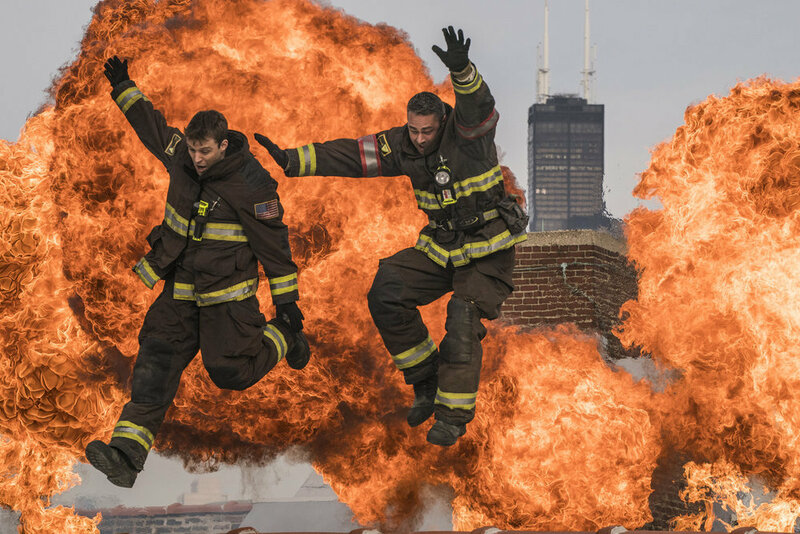 After photos of Casey (Jesse Spencer) and Severide (Taylor Kinney) jumping off the roof during a heroic rescue make the front page of the newspaper, Boden (Eamonn Walker) unwillingly agrees for the photographer to chronicle a day-in-the-life story at the Firehouse. Dawson (Monica Raymund) and Brett (Kara Killmer) are on a mission to find out what keeps happening to Gerald (guest star Jonathan Isaac Frank), a frequent flier they know who lives on the streets. Meanwhile, Herrmann (David Eigenberg) decides to take up life-coaching as a side job and Kidd (Miranda Rae Mayo) makes a decision regarding her living arrangement with Severide. Yuri Sardarov, Joe Minoso and Christian Stolte also star. Randy Flagler, Tony Ferraris, Daniel Di Tomasso and Ariane Rinehart also guest star. Air Date: Thursday, March 1 (10-11 p.m. ET) on NBC. After responding to a time-sensitive rescue, Casey (Jesse Spencer) and Severide (Taylor Kinney) don’t see eye to eye on the best course of action. Brett (Kara Killmer) is joined by a surprise guest during a spa getaway, courtesy of Dawson (Monica Raymund), while Kidd’s (Miranda Rae Mayo) social life gets a boost. Eamonn Walker, Yuri Sardarov, Joe Minoso and Christian Stolte also star. Amy Morton, Randy Flagler, Tony Ferraris and Daniel Di Tomasso also guest star. Air Date: Thursday, February 1 (10:00PM – 11:00PM) on NBC. Dawson (Monica Raymund) and Casey (Jesse Spencer) do everything they can to locate Bria’s (guest star Quinn Cooke) whereabouts after discovering important new information. Lt. Severide (Taylor Kinney) reunites with Chief Grissom (guest star Gary Cole), and old family friend. Meanwhile, Cruz (Joe Minoso) enlists the help of Brett (Kara Killmer) and Mouch (Christian Stolte) to create a new tool and Kidd (Miranda Rae Mayo) and Zach (guest star Daniel Di Tomasso) go on a date. Eamonn Walker, David Eigenberg and Yuri Sardarov star. Jon Seda, Randy Flagler and Tony Ferraris guest star. Air Date: Thursday January 25 (10:00PM – 11:00PM) on NBC. 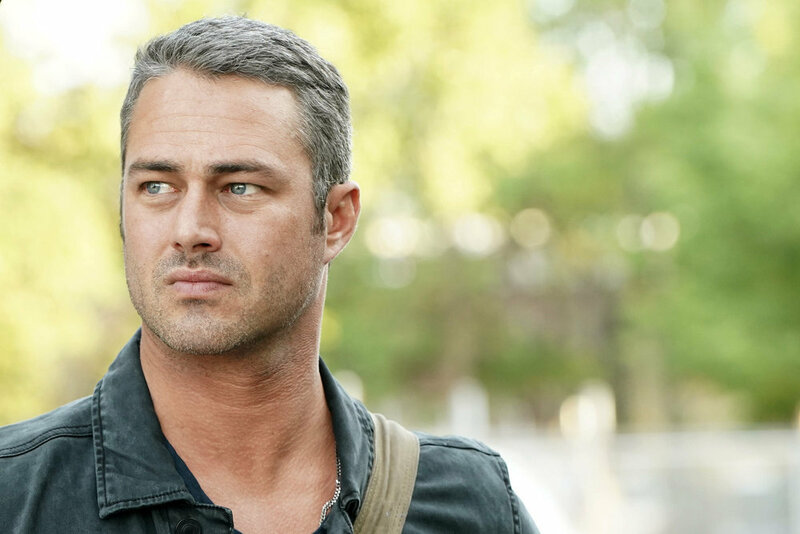 After learning unsettling news, Dawson (Monica Raymund) enlists Severide (Taylor Kinney) to help her out. Elsewhere, Casey (Jesse Spencer) and Dawson struggle with communication issues while Brett (Kara Killmer) and Kidd (Miranda Rae Mayo) compete to win the heart of Zach (guest star Daniel Di Tomasso), a Hazmat officer. Meanwhile, Otis (Yuri Sardarov), Herrmann (David Eigenberg) and Mouch (Christian Stolte) are on a mission to locate the source of a horrible stench that is making life unpleasant at Firehouse 51. Eamonn Walker and Joe Minoso also star. Air Date: Thursday, January 18 (10:00PM – 11:00PM) on NBC. After saving a young girl, Dawson (Monica Raymund) is forced to make a tough decision when she finds out the girl’s father is addicted to painkillers. Herrmann (David Eigenberg) loses his cool and gets into an altercation with a police officer after responding to a call. Otis (Yuri Sardarov) and Cruz (Joe Minoso) are on a mission to find out who Brett (Kara Killmer) is dating. Meanwhile, Boden (Eamonn Walker) is skeptical when Donna’s (guest star Melissa Ponzio) brother Julian (guest star Michael Cognata) unexpectedly comes to town. Jesse Spencer, Taylor Kinney, Miranda Rae Mayo and Christian Stolte also star. Jon Seda, Randy Flagler and Anthony Ferraris guest star. Air Date: Thursday January 11 (10:00PM – 11:00PM) on NBC. Brett (Kara Killmer) attempts to make a lifesaving decision in the field to someone near and dear to the firehouse family. In an effort to impress Lily (guest star Ariane Rinehart), Otis (Yuri Sardarov) scrambles to get everything together for the grand opening of Molly’s North. Meanwhile, Boden (Eamonn Walker) becomes emotional following the rescue of a famous blues player from a burning apartment building and Dawson (Monica Raymund) struggles to come to terms with how she has been dealing with her father. Jesse Spencer, Taylor Kinney, David Eigenberg, Miranda Rae Mayo, Joe Minoso and Christian Stolte also star. Randy Flagler, Anthony Ferraris, Jon Seda, Colin Donnell and Marlyne Barrett guest star. Air Date: Thursday, January 4 (10:00PM – 11:00PM) on NBC. After heroically saving a mother and newborn baby from a rooftop fire, Kidd (Miranda Rae Mayo) receives surprising news when she discovers she is being transferred out of the firehouse. 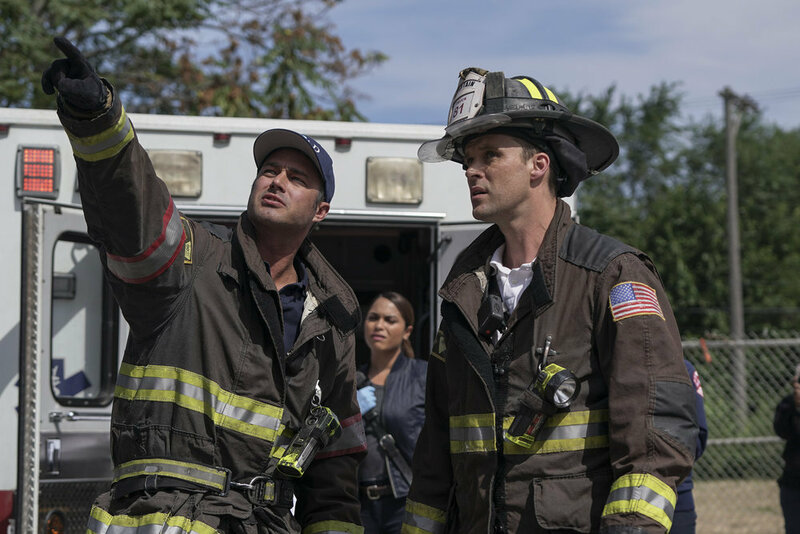 Severide (Taylor Kinney) and Casey (Jesse Spencer) believe something is off about the turn of events, prompting them to investigate the situation. Otis (Yuri Sardarov) and Herrmann (David Eigenberg) discuss the possibilities of taking over a rundown bar and Dawson’s frustration with her father, Ramon (Daniel Zacapa), reaches a boiling point. Monica Raymund, Kara Killmer, Eamonn Walker, Joe Minoso, and Christian Solte also star. DuShon Brown, Eloise Mumford and John Gatins guest star. Air Date: Thursday, November 2 (10:00PM – 11:00PM) on NBC. Casey (Jesse Spencer) and Severide (Taylor Kinney) find themselves at odds after Casey argues with him over the best way to save a teenager entangled in barbed wire. When Casey looks to Boden (Eamonn Walker) for help smoothing out the situation, he comes to the realization that he will have to fix it himself. Elsewhere, Otis (Yuri Sardarov) tries to convince Casey to participate in the beta test for an expensive piece of new firefighting equipment imported from Japan. Meanwhile, Kidd (Miranda Rae Mayo) and Hope (guest star Eloise Mumford) come to blows over a payroll issue and Brett (Kara Killmer) goes on a date with a doctor she meets during an ambo call. Monica Raymund, David Eigenberg, Joe Minoso and Christian Stolte also star. Air Date: Thursday, October 26 (10:00PM – 11:00PM) on NBC. While running a secret errand, Dawson (Monica Raymund) finds herself trapped in a collapsed parking structure. With all paths of exit blocked, she is forced to improvise and works double-duty to keep a number of injured individuals alive while trying to maintain peace among those trapped. 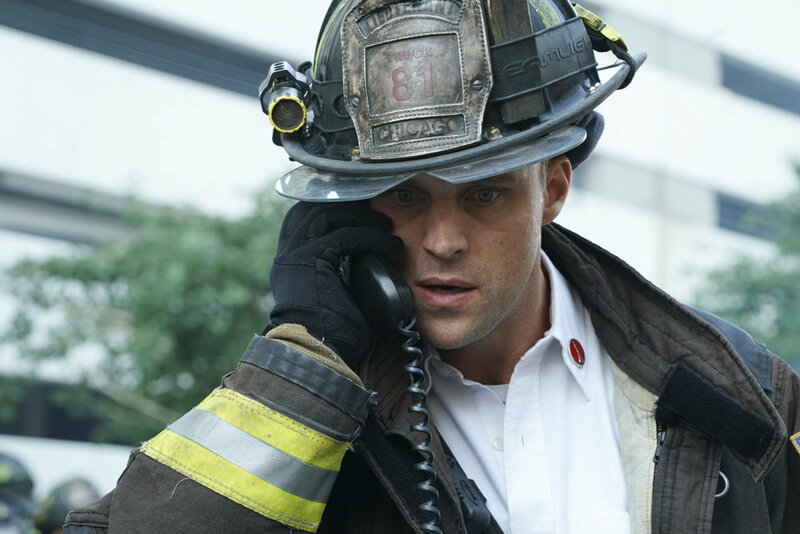 Meanwhile, pressure is mounting on Casey (Jesse Spencer) as he begins to take on additional duties, Kidd (Miranda Rae Mayo) grows increasingly skeptical of Hope (guest star Eloise Mumford) after learning about rumors circulating and the firehouse receives a surprise visitor. Taylor Kinney, Eamonn Walker, Kara Killmer, David Eigenberg, Yuri Sardarov, Joe Minoso and Christian Stolte also star. Air Date: Thursday, October 19 (10:00PM – 11:00PM) on NBC. Lt. Casey (Jesse Spencer) gets off on the wrong foot with Sam Mullins (guest star John Gatins), a temporary Chief who is filling in for Boden (Eamonn Walker) at House 51 for the morning. When Casey later makes a risky move in an attempt to save a distraught man from jumping off a building, Mullins has a surprise that Casey does not expect. Mouch (Christian Stolte) flies in Cruz’s (Joe Minoso) brother Leon (guest star Jeff Lima) as a birthday surprise, but the rest of the squad struggles to keep it a secret. Meanwhile, Brett (Kara Killmer) is caught off guard when she learns new information about her hometown friend Hope (guest start Eloise Mumford). Taylor Kinney, Monica Raymund, David Eigenberg, Miranda Rae Mayo and Yuri Sadarov also star. DuShon Brown and Randy Flagler also guest star. Air Date: Thursday, October 12 (10:00PM – 11:00PM) on NBC. After learning the school fire wasn’t an accident, Chief Boden (Eamonn Walker) turns up the pressure on Severide (Taylor Kinney) and Casey (Jesse Spenser) to investigate the cause of the fire that trapped his wife. Fueled by a competitive bet against Firehouse 87, Mouch (Christian Stolte) pushes all of the wrong buttons in his need to win the competitive challenge known as the firefighter muster. Meanwhile, as Kidd (Miranda Rae Mayo) settles into her new living arrangement, her unresolved feelings prompt her to question the intentions of newcomer Hope (guest star Eloise Mumford). Monica Raymund, Kara Killmer, David Eigenberg, Yuri Sadarov and Joe Minoso also star. Melissa Ponzio and Randy Flagler guest star. Air Date: Thursday, October 5 (10:00PM – 11:00PM) on NBC. With most of the squad still trapped inside the burning warehouse fire, Chief Boden (Eamonn Walker) makes a risky last-minute decision in an effort to save his men. Dawson (Monica Raymund) continues to deal with her father (guest star Daniel Zacapa), who has new plans for himself. Brett’s (Kara Killmer) childhood friend Hope (guest star Eloise Mumford) visits the Windy City and strikes the attention of someone within the firehouse, while Kidd (Miranda Rae Mayo) goes head-to-head with her landlord. Meanwhile, a fire at a high school hits close to home for Boden. Jesse Spencer, Taylor Kinney, David Eigenberg, Yuri Sadarov, Joe Minoso and Christian Stolte star. Randy Flagler and Melissa Ponzio guest star.